ARDEX RA 88 is a two component, high performance ceramic blend epoxy. 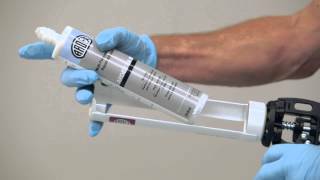 No-drip, non sag, repair adhesive perfect for horizontal, vertical and overhead use (trowelable). Fast cure time (approx. 2 hours) and when cured, over twice as strong as standard concrete. Ideal for use as a repair adhesive for almost any material, including metal, concrete, brick, wood, stone, block and other substrates. It can also be used for repairing holes, spalls and cracks in concrete, repairing rotted wood, installing anchor bolts and repairing hand rails.